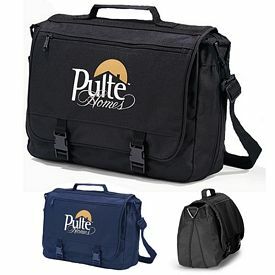 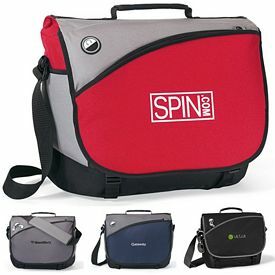 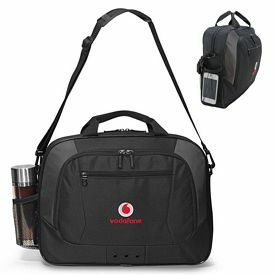 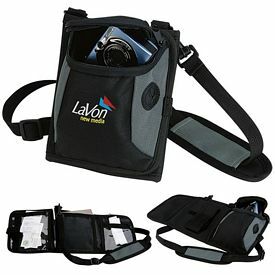 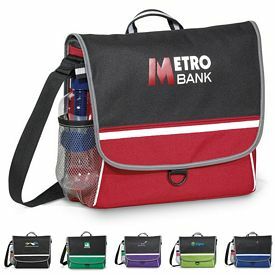 We offer a wide range of promotional messenger bags to suit your needs. 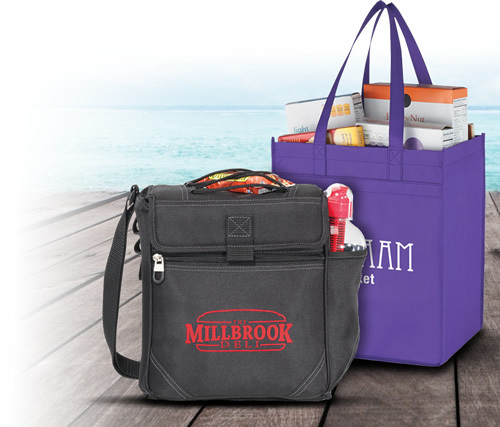 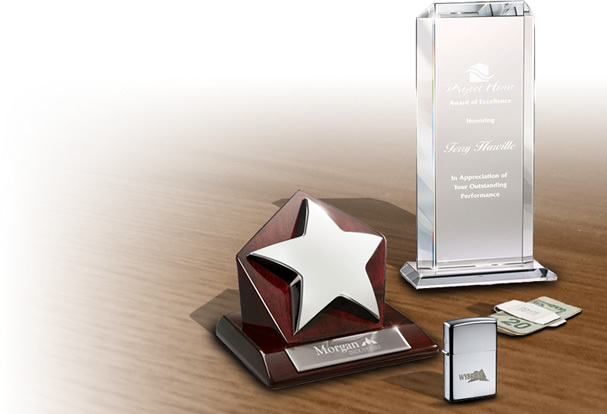 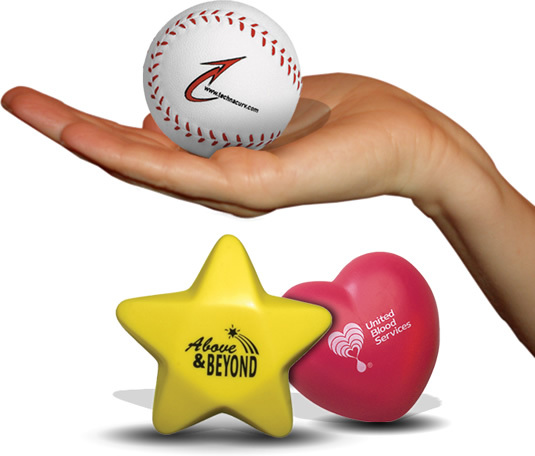 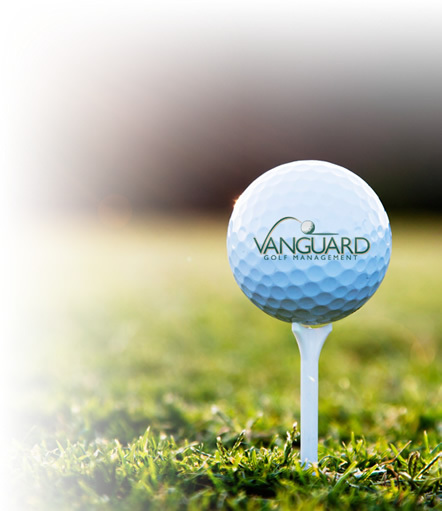 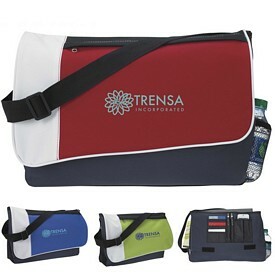 The custom travel bags can be imprinted to bear your desired logo. 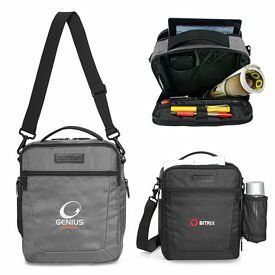 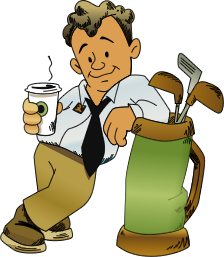 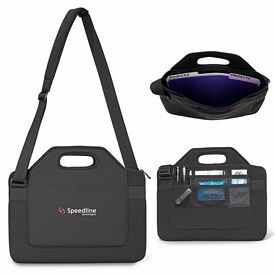 There are various options available in custom messenger bags like customized laptop cases, branded sling backpacks, promotional duffel bags, etc. 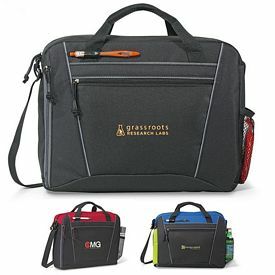 Sustainable cotton canvas features a zippered pocket on front flap, two side pockets with hook, loops, and zip closures for travel accessories. 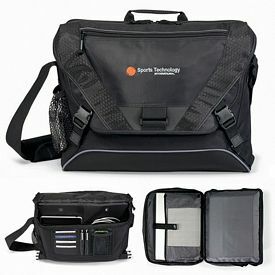 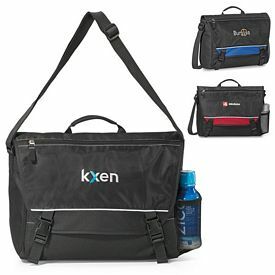 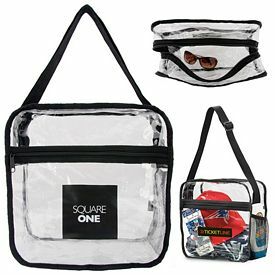 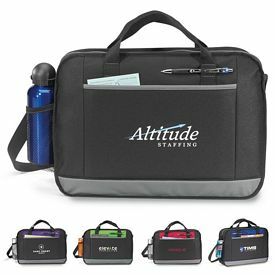 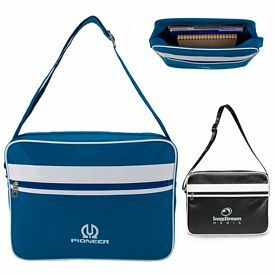 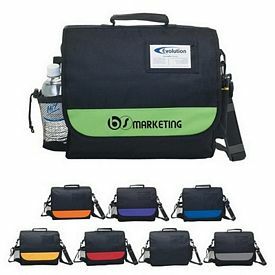 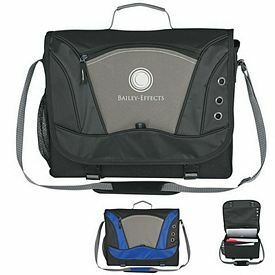 The Promotional Travel Polyester Messenger Bag has slots for ear buds and inside flap compartments for pens, calculator, business cards, etc. 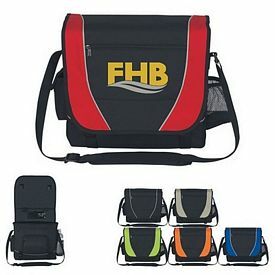 with an adjustable shoulder strap. 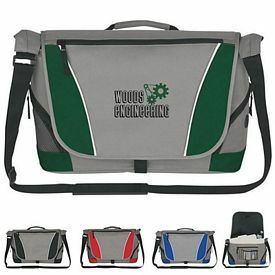 The Custom Wave Briefcase Messenger Bag is a great choice for customizable executive bags. 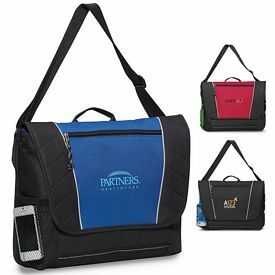 The Branded Vertical Messenger Tote Bag has two side pockets and a zippered main compartment with padded pocket for a small laptop or tablet. 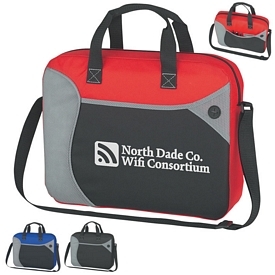 The Logoed Neoprene Laptop Cases offer a wide range of color options and come with a padded Velcro closure. 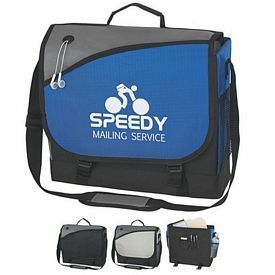 The Screen Printed Messenger Bags and the Briefcase, have an extra strong nylon zippers giving them a great defining look. 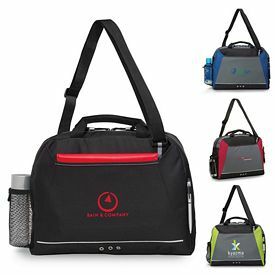 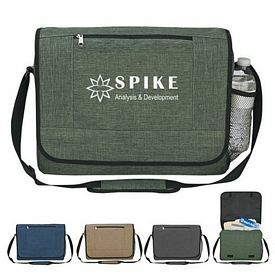 The Promotional Document travel bags with padded handles and the Messenger Bag with Matching Striped Handle can act as great promotional products with your desired logo shining bright on the already vibrant colors. 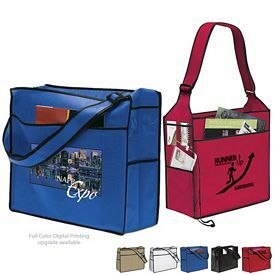 Made of 80 gram Non-Woven Coated Water-Resistant Polypropylene, the custom Non-Woven Messenger Tote with Velcro closure has a comfortable 33” handle. 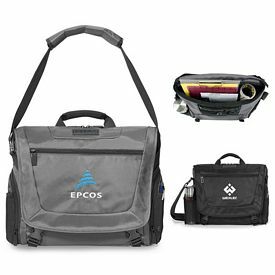 If you are looking for an eco-friendly option, then the Customized Nonwoven Messenger Bag made of eco-friendly materials should be your suited choice. 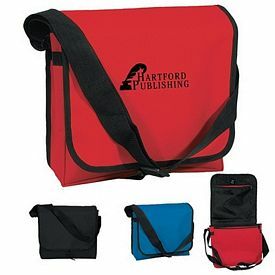 It provides an easy access Velcro flap and an accent binding edge seams. 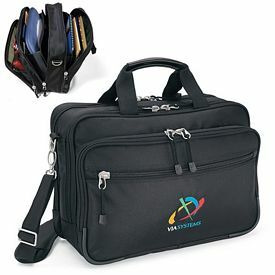 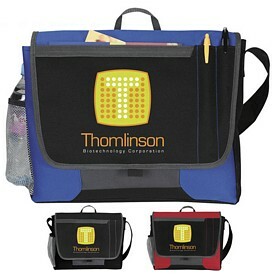 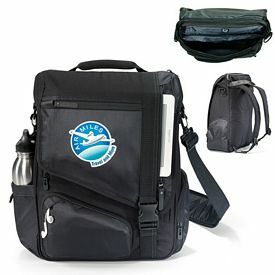 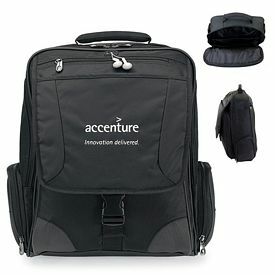 The Promo Atchison Odysseus Business promotional computer bags come with a mesh water bottle pocket and a laptop compartment. 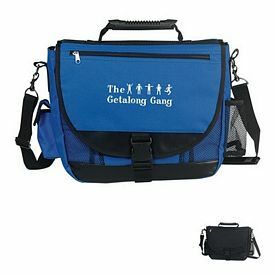 The Custom Atchison Helio Messenger Bag has an organizer panel and a quick release main compartment closure. 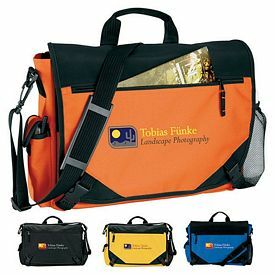 The Promotional Atchison Intern Messenger Bag has a boarded bottom and an adjustable shoulder strap with custom webbing. 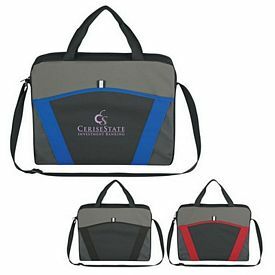 A large imprint area and a zippered compartment make the Custom Atchison Neo Laptop Sleeve or Document Sleeve stand out in the crowd. 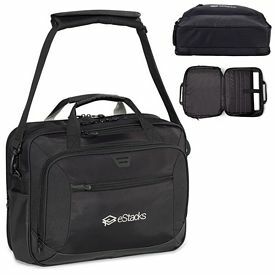 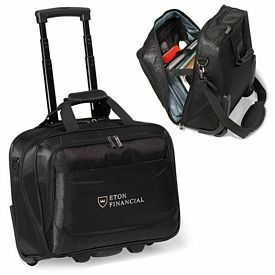 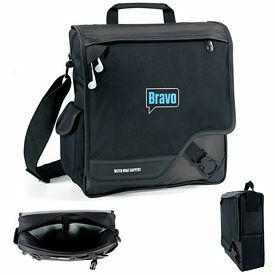 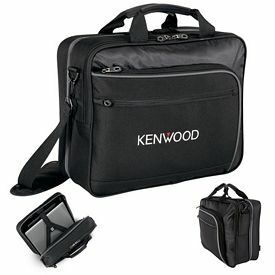 The Promotional Elleven Checkpoint-Friendly Wheeled Compu-Case comes with a front zippered pocket that includes a removable tech trap organizer panel. 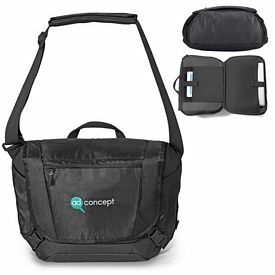 Another great option for customizable messenger bags is the Customized Zoom Media Messenger Bags for tablets which have a main compartment fully lined with soft nylex. 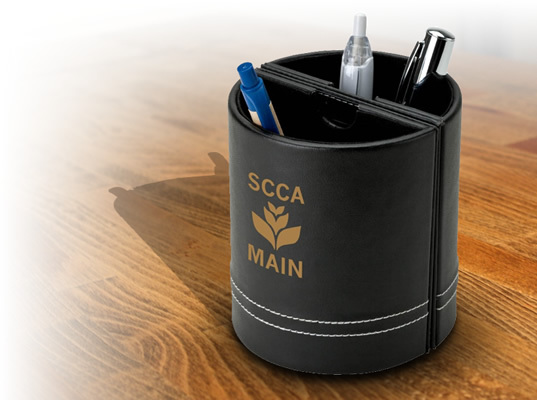 It has the perfect size and place for your iPad or tablet. 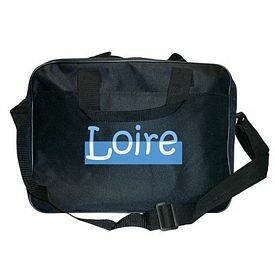 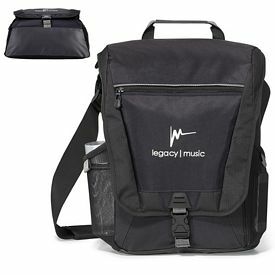 The logoed bag also has a unique hidden handle and adjustable shoulder strap. 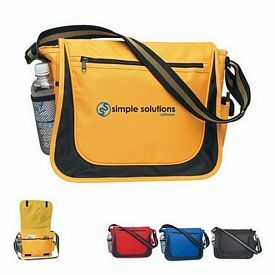 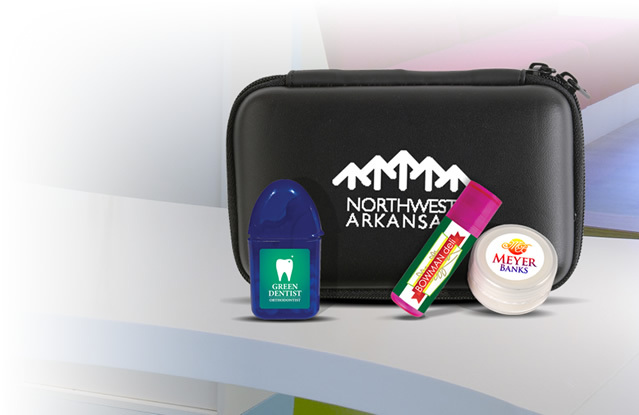 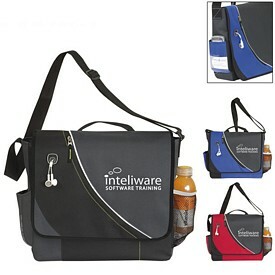 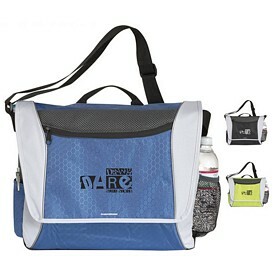 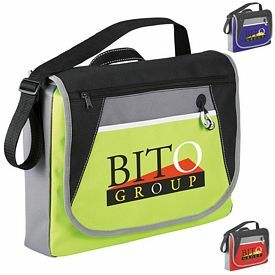 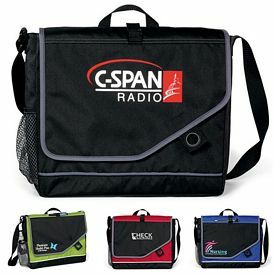 With customized logos to go with them, the promotional messenger bags can increase your sales in no time.